CCTV in Sheffield - ICU2 Security Ltd.
Closed circuit television or CCTV has become a major security tool in today’s society. Due to its rapid growth, CCTV has become a mine field of products and systems. At ICU2 Security we pride ourselves on our extensive knowledge of products, enabling us to specify the right system to suit our customer needs.We offer a broad range of effective CCTV solutions, bringing together high quality, crisp images with advanced and user friendly storage, recording devices, along with networking and retrieval mechanisms. To enable this we work in partnership with leading manufactuers including Sony, Panasonic, Vista, Pelco, DM, Forward Vision, AD amongst many others.CCTV systems can be so effective in protecting premises and reducing crime, if specified correctly. To ensure its success, it is important that systems are efficiently monitored and maintained. ICU2 Security provide an in depth design and specification service, whilst offering after sales support including monitoring and maintenance, for new and existing systems. ICU2 Security can offer you a Free, no obligation quote within these areas: *Rotherham, Barnsley, Doncaster, Sheffield, Chesterfield and surrounding areas. To ask advice on any product, including any of our DVR or Camera’s, please call us on 01143270121, email us with your request or contact us via this website. Our specially deigned CCTV systems can have the added protection of being monitored 24 hours a day by a remote monitoring station. The monitoring station have specially trained operators can provide 24 hour event-driven monitoring of a specified area, and these operators can even issue verbal warnings via on-site PA system or horn to the intruder. That alone is usually a sufficient deterrent in many incidents. Where offenders are more determined, then the operator can contact the key-holder or the emergency services. 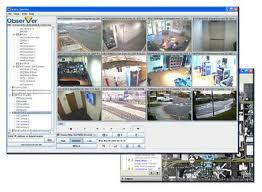 With remote access you are able to view your CCTV system via a linkup to your broadband and through internet explorer. With the software provided you can view multiple cameras on the same screen and can even playback events, as and when needed. 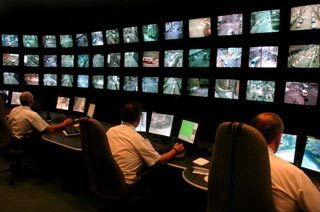 By remotely accessing your CCTV there is no need to visit the site, as you can view your cameras anywhere in the world. At ICU2 Security as well as designing and fitting the system we can also provide training on how to use the remote access CCTV system and software in your own home. We are now fitting a range of cameras incorporating a 1/3″ Sony Super HAD CCD and Samsung’s new WIII DSP (digital signal processing) chipset. Below are photo comparisons which clearly show the advantages of using this new technology. The pictures below were taken at midnight with the light level measured at 0.03 lux using a Minolta Illuminance meter which reads down to 0.01 Lux.The left picture uses a standard camera, the middle picture shows a high end colour/mono camera and the picture on the right shows the incredible performance of our VLD vandal resistant dome. The shrubs to the right of the picture were almost invisible to the naked eye and were easily picked out by this camera. As well as being a high resolution camera the low light performance is superb. For low light work we also fit the Samsung internal dome camera range and SDC-415 camera that also offer the same amazing picture quality and low light performance backed up with a brand name.